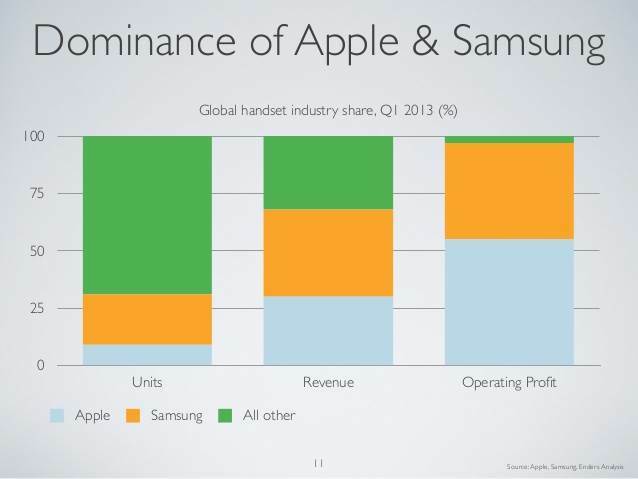 Samsung and Apple currently rule the roost in their own unique way. In the first Quarter of 2013 more than 25% of the smartphones sold were Apple or Samsung which is some achievement considering the wide variety of smartphone brands available globally. When it comes to revenue, Samsung is currently ahead of Apple and one contributing factor to this is the wide range of phones at different price levels which Samsung offers. In the fight for profit however, Apple provides the knock-out punch. With more than 50% share of the total operating profit in the industry, Apple has constantly proven its worth as the dominant contender over the years and so far this year it’s no different. 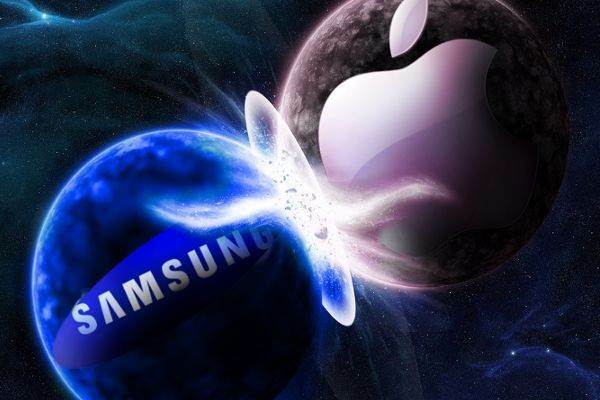 It remains to be seen if the recently released Samsung S4 and Blackberry 10 handsets affect Apples dominance towards the end of 2013? Pocket App is a cross platform mobile solutions company. We provide our clients with relevant solutions helping them achieve their mobile objectives. Pocket App has a dedicated team for every available Operating System, ensuring that our clients are provided with the best advice towards developing mobile solutions and as well as providing clients with quality service during the app development process. So if you are also looking at developing an application then please write to us on info@pocketapp.co.uk and we will get back to you.